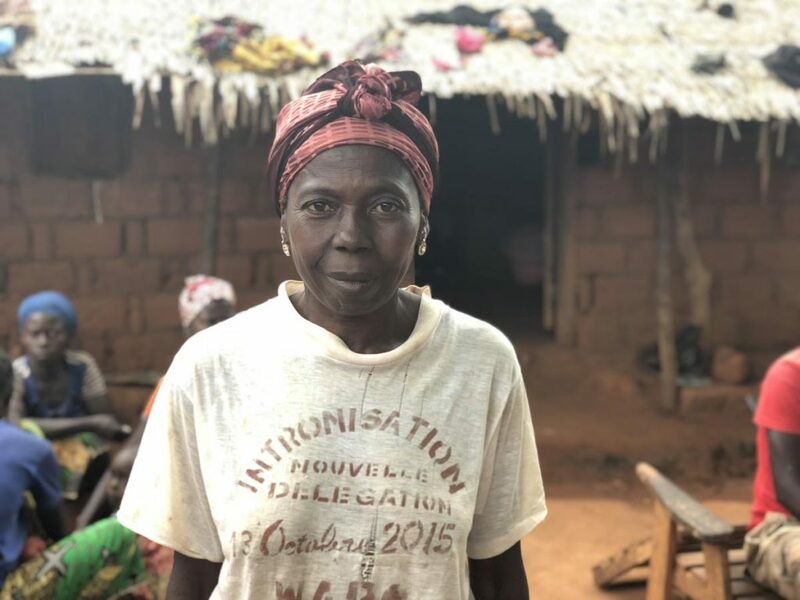 Marie-Pascal Nalémé is a grandmother, born and raised in the small town of Wapo, which is home to some 2000 people in the Central African Republic. She has been through a lot in her lifetime, having lost her husband many years ago. Today, her home is filled with almost a dozen family members, and she takes on many of the daily duties to care for their household, including fetching water. Currently there is only one water pump in Wapo in a distant neighborhood which has to serve all 2000 residents (when the maximum number it should serve is 500 people). 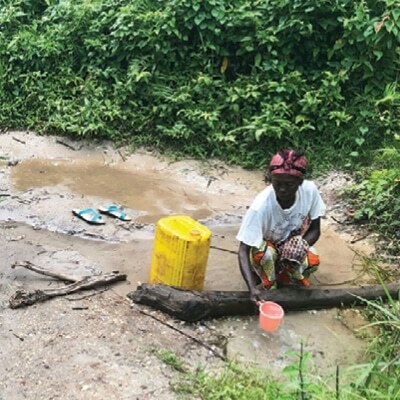 Marie-Pascal sometimes walks to the pump, but most days, her family collects water from a seep hole that is a 15-minute walk away. On average, her family uses 10 jugs of water a day for drinking, cleaning, cooking, and bathing. As you can imagine, this takes up most of their day—and the water is still unclean. Recently, Marie-Pascal’s youngest grandchild became ill and though she took the baby to a hospital in Berberati (the largest nearby town), the child never fully recovered. 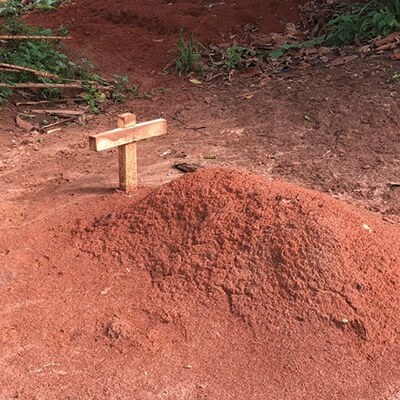 At the tender age of three, her grandchild passed away and is now buried next to their home. Globally, lack of water and sanitation kills more people than all forms of violence and war. 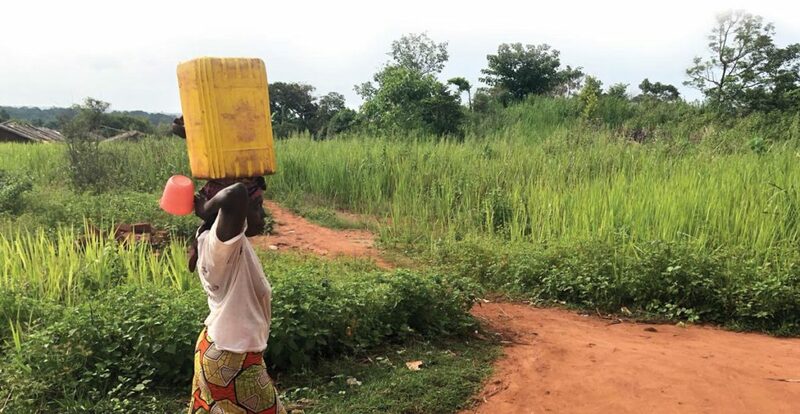 The loss of children under five for families in the Central African Republic, like Marie-Pascal’s, is a tragically common result of unsafe water and the hardships of life in the world’s poorest country. But there is hope for a better future. In 2018, Wapo will be among the first of many towns to get not just one well, but several — ensuring that every man, woman, and child can always access sufficient safe water from a nearby hand pump. Together we can end water poverty in Wapo this year! We’re committed to reaching everyone in Wapo and this entire region by 2020. 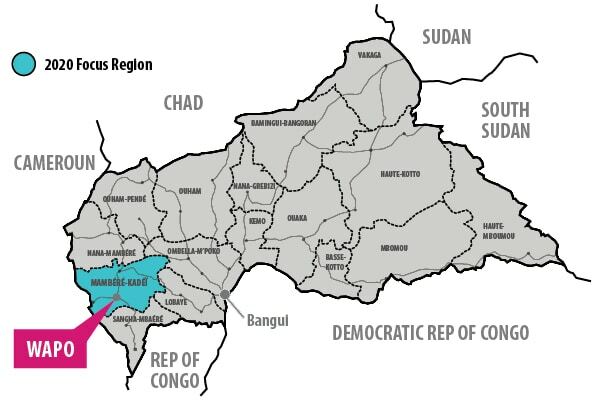 Your generosity will allow local drilling teams to reach the town of Wapo and every other town in the focus region by 2020. Reaching everyone here with clean water AND sustainable maintenance of these wells will pave the way to scale and reach the whole country by 2030. Thank you for joining us in bringing hope to families like Marie-Pascal Nalémé’s. We are amazed at your generosity and the real change it is bringing about in people’s lives. Please pray and consider a donation today to help us make water poverty history for Wapo and the whole region.